www.ditl.org • View topic - Should DITL now include Discovery? Re: Should DITL now include Discovery? Sonic Glitch wrote: And I thought the Star Wars fans bitching about the Last Jedi were bad. "Markedly different?" I actually think the new Enterprise looks remarkably more respectful of the Cage version. They made some things glow that didn't before (curse there extra effects budget! Childhood ruined) and redid the impulse engines a bit, which frankly it's comparatively minor compared to the JJ Prise. And slanted the nacelle pylons back. And reshaped the aft end of the engineering hull. And lowered the saucer and nacelles closer to the body. And added considerable structure to the back third or so of the saucer. And added another shuttlebay between the impulse engines. And reshaped elements of the nacelles. And that's just at first glance. It's fine, as a "here's what it would look like if it were done today" kind of deal, which is what I suspect the producers have in mind when they say they're "sticking to canon'. But do you really think that the ship we saw in The Cage two years before was rebuilt into this? And then rebuilt back into Kirk's TOS ship? And then rebuilt again into the TMP refit? Honestly asking, is that your take on what is supposed to have happened to this ship? My take? The ship always looked like this, received minor changes when Kirk took over (i.e. swapping the rectangular grid thig for ball caps on the nacelles) and was late rebuilt into the E-refit. Just looking at it now I have an easier time believing this ship became the TMP Enterprise after an 18 month refit than the original version. I guess I just don't see the crime/betrayal in admitting "If they had more resources this is what it would February looked like." especially when Roddenberry had said there were things he wanted to do they didn't have the budget/resources to do. B) you are correct, but none of what “should have,” “could have,” or “he wanted to” happen changes what was onscreen. But it didn't - we saw it in The Cage, and it looked nothing like this. So far, my experience with Discovery is limited to the initial ads and what's been discussed on here. But, based on that, I would be in favor of treating Discovery as a new alternate timeline. Separate from the Prime timeline. Separate from Kelvin timeline. One thought is that Discovery can't be set in the Kelvin timeline. It's 2259 in Discovery, right? Well in 2259 Pike is an Admiral, and although he's given back command of the Enterprise after Kirk's Volcano thing, he never actually takes the ship out again before he's shot. So even if we assumed that the JJ-prise was the ship that showed up in the final episode, it wouldn't have had Pike on it in the Kelvin timeline. Thus, Discovery pretty much has to be it's own timeline. So are we getting Discovery added to DITL? Not sure, I haven't had a chance to talk to Ian about it properly since the snow disrupted him coming up for the weekend. One thing I hadn't thought of that puts me off is that in order to add it to the site I'd have to sit down and actually spend a lot of time watching the thing. Which... ugh. Graham Kennedy wrote: Not sure, I haven't had a chance to talk to Ian about it properly since the snow disrupted him coming up for the weekend. With it safely in its own universe, 90% of my problems with it go away. All that's really left is the stupid magic mushroom drive and the fact that there isn't a single likeable character in the whole thing. I still wouldn't call it good by any stretch, but at least it's no longer insulting. non-sensical stories, no redeeming features... sorry, no. You'd be better off watching The Orville and adding it to the site as an alternate universe, where Vulcans quietly kept to themselves, while humans took their warp nacelle design and altered it to look better. Evolution of the DKyr to the Orville? Much closer than what STD did. And I will never refer to this show as Dis, or Disc. It will always be STD. because they all must have been hit with a mind-bending one when they wrote the show. I quit after about five or six episodes. It's no secret here how I feel about Discovery, but I've written worse on other forums. When I was watching the show it was alternately making me seriously angry and genuinely depressed. I'd go online and rage-post about it afterwards, look for ways to vent. In the end I realised it was not a healthy thing to do, spend my time watching something I hated and then wallowing in the hatred afterwards for prolonged periods. So I backed way off. So yeah, kind of hesitant to go there. Actually did consider starting an Orville site in the DITL mold. But these days there are wikis for everything, and a site written by one person is never going to be able to keep up with it. Really DITL as a concept was obsolete when Memory Alpha came out, at least in large part. 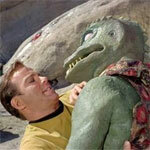 Graham Kennedy wrote: Actually did consider starting an Orville site in the DITL mold. But these days there are wikis for everything, and a site written by one person is never going to be able to keep up with it. Really DITL as a concept was obsolete when Memory Alpha came out, at least in large part. DITL offer more than any other website I know. Indeed. For a tech geek like me, and most of us, probably, this site is INFINITELY more useful than Memory Alpha or any wiki. DonP wrote: Indeed. For a tech geek like me, and most of us, probably, this site is INFINITELY more useful than Memory Alpha or any wiki. I tend to agree. I love Memories Alpha and Beta and back in the day some of the Ex-Astris Scientia site was cool, but for return value, I have spent 15 years with DITL.